Rabix Composer is tool that helps bioinformaticians to create and optimize workflows for analysis of genomic data. It consists of Workflow Builder and Tool Wrapper. Workflow Builder enables them to connect different tools into workflows, and Tool Wrapper helps them pack individual tools built in different languages, on different platforms, by different people into reusable, reliable components that can be used in many different workflows. First version of Rabix Composer (under a different name) was a rushed MVP that never left the MVP phase. It was developed with a focus on technical execution, had a steep learning curve, and many users found it incomprehensible. 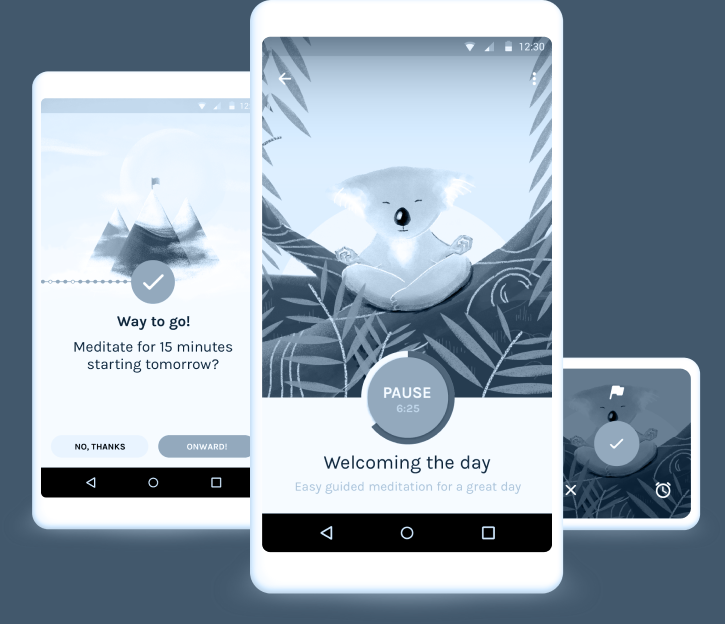 Designer assigned to this team (Boban Pajić) had a lot of projects on the plate, so I partnered with him and did a lot of work in early phases—research, prototyping and some UI design, mostly for the Tool Wrapper. Months after this initial push, he continued working on Rabix Composer as I focused on other projects. We knew that the existing interface didn’t fit the users mental model, but we didn’t jet know how they though about their work. By using open card sorting, we finaly understood how they thing about tool building. 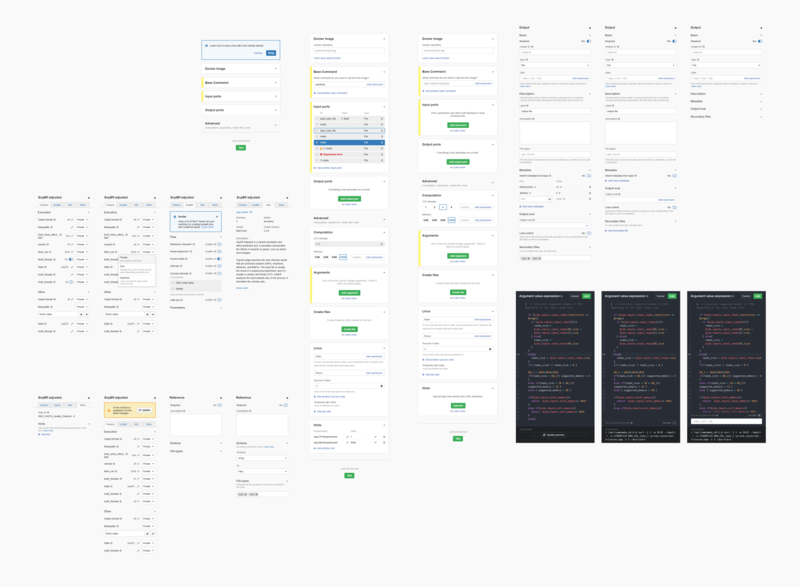 This directly affected not only app information architecture but even the general layout - instead of tabbed interface that required a lot of jumping for even basic actions, we developed a “master-detail” layout that provided users with an overview with allowing them to drill down to details quickly. Fit the user's mental model as much as possible. This reflects in the information architecture, layout, and messaging. Enable users to easily traverse vast branches without losing the bigger picture. This was a big problem with the MVP. Enable new users to wrap a basic tools and progress to more complex use cases over a smooth learning curve. The goal set with development team that we're going for a full rewrite, and that this will act as a stand-alone tools (it was a nested component before). This gave us the freedom to experiment with different concepts and features, some I made can be seen down. Concepts include general organization, features for live preview, navigation and overview, component states, etc. This is a powerful tool that requires a lot of small interactions that seem intuitive and effortless. In order to really make them so, I made lots of different concepts until users understood it. When they didn't even notice, but knew how to use it, I knew it passed the test. Variations of microinteraction for creation of new nodes in Workflow editor. 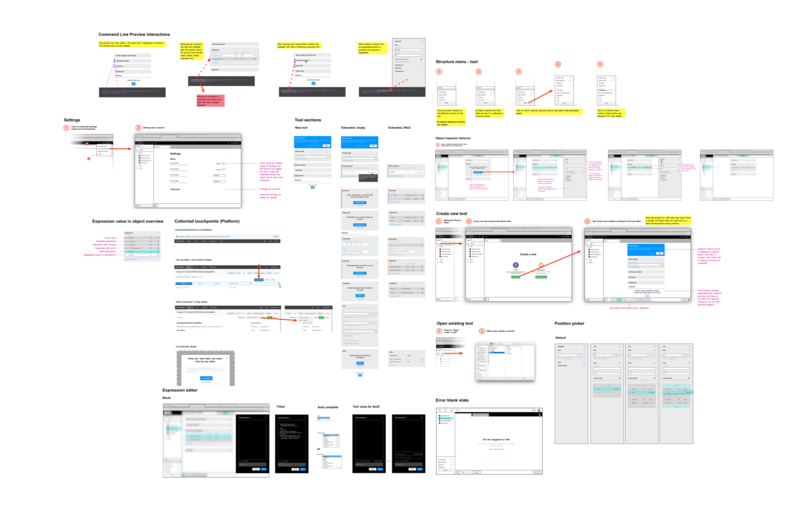 After the concept was validated with prototypes and usability tests, I was responsible for detailed interface design of the Tool Wrapper. In early discussions we set a course to follow the look of other products, so I reused existing styles and designed new in the same style. Various sections and states. Main content with empty states can be seen in the middle. Since the redesign there was considerable good feedback from users and community, as it's available online for free. It has evolved considerably since these early days, especially the Workflow Builder, so it may differ from stuff displayed here. How might we help people to change? Email me, or add on Linkedin.